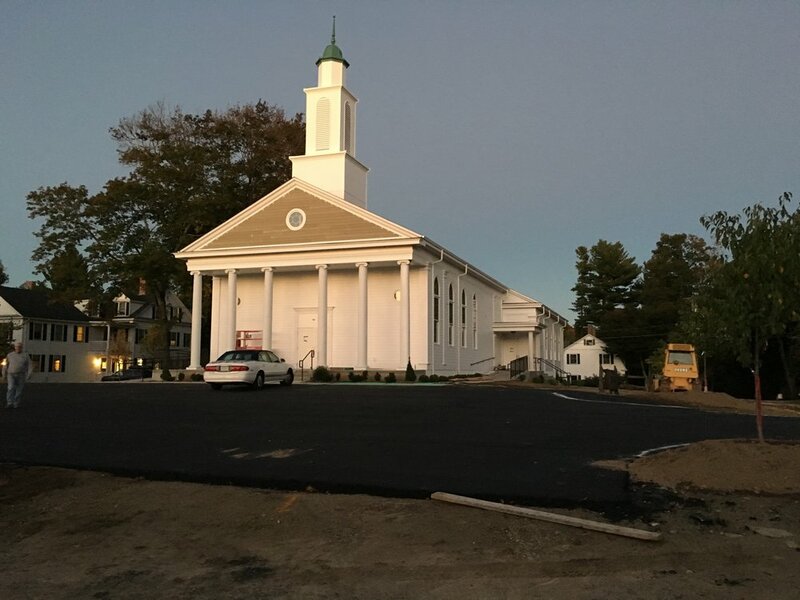 First Congregation Church of Pomfret located in Pomfret, Connecticut. SSP Custom Sound working with Church Development Services LLC (the design-build contractor) for the new church facility. 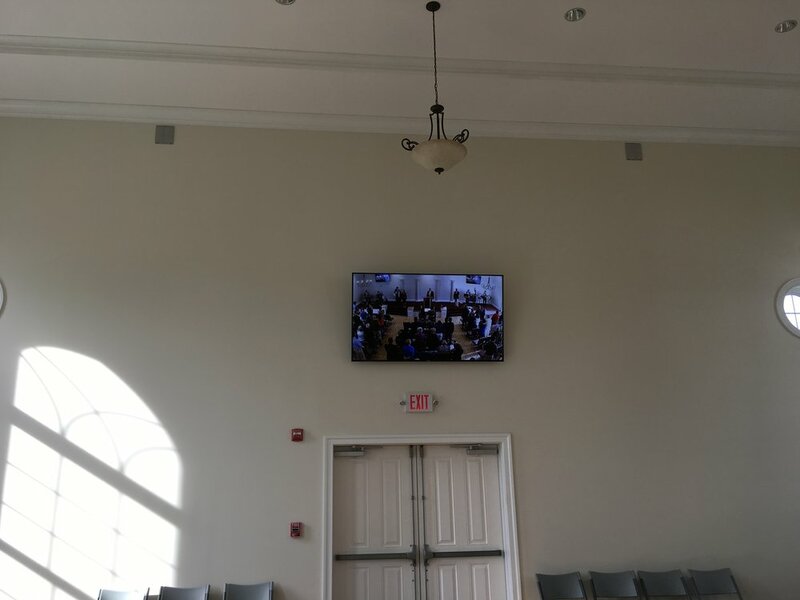 SSPCS worked with the church A/V committee to install the audio and video system in the Sanctuary, as well as the fellowship hall and multiple locations in the building. A camera was also installed for video distribution throughout the building. 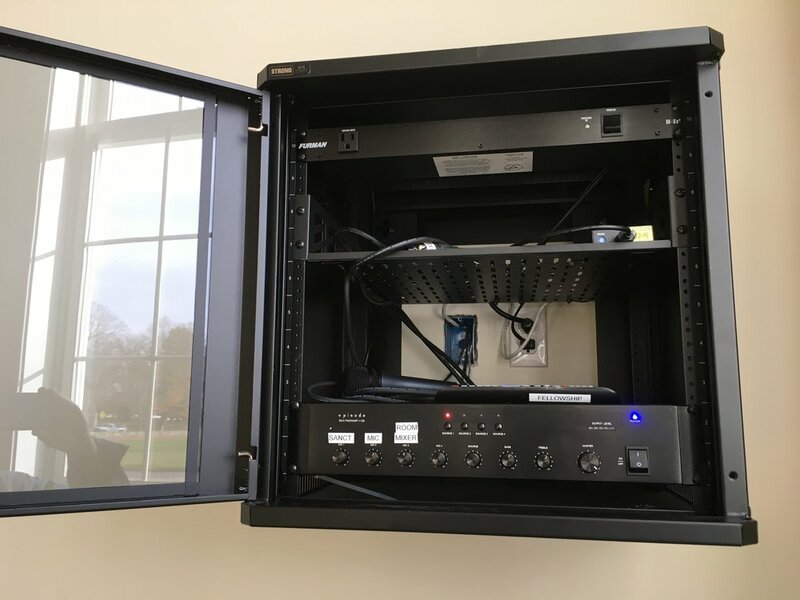 The budget was limited but we were able design and install a system that meet all the needs the church was looking to do. QSC main commercial speakers along with sub woofers located in short columns at the stage step area. 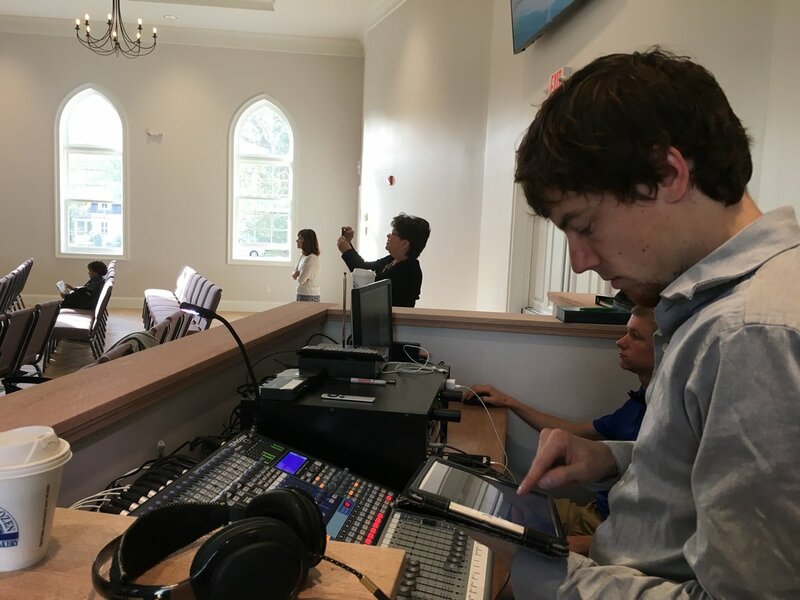 Josh setting up the Presonus digital console with the iPad app, Atlona video distribution system for the main and rear LCD screens, as well as the downstairs and fellowship hall. Fellowship-Hall video feed from Santuary. Fellowship-Hall audio system ( simple but effective).